Btw, the FFGeek poll and site 2 asks who will you captain. Site 1 asks for the best captain and site 3 is silent. I’d be surprised if either didn’t start. Aubameyang played on Friday and Liverpool are out of the FA Cup so Salah well rested. Returns in 7/8 games, 3 double figure scores and backed up by extremely good underlying stats. Overall points per 90 mins adjusted is 7.83 and he’s returned a goal or assist in 14 of his 22 starts which is 64%. Overall the Leicester defence is 5th in goals conceded with 29 and also 6th in xG conceded. Away they are ranked 9th equal with 17 goals conceded from 12 games and ranked 8th with xG conceded. Returns in 5/8 games, 2 double figure scores and backed up by very good underlying stats. Overall points per 90 mins adjusted is 6.42 and he’s returned a goal or assist in 10 of his 21 starts which is 48%. Overall the Cardiff defence is 19th in goals conceded with 44 and also 18th in xG conceded. Away they are ranked 13th equal with 21 goals conceded from 11 games and ranked 18th with xG conceded. Gametime wise I think both will start. Salah likely as a CF and Aubameyang possibly as a left sided forward although recently him and Lacazette have played as a pair. Aubameyang will have pens and Salah only if Milner is off the pitch. I’ll be going for Salah without question. 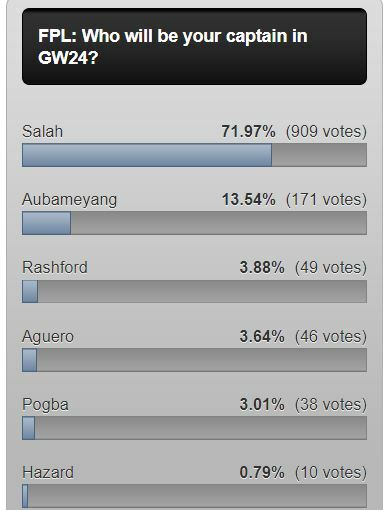 I don’t own Aubameyang anyway but the polls are too strong. However I think Aubameyang has decent stats and the Cardiff defence is terrible. 1 Transfer 6.6itb. WC, FH & TC intact. Not straight forward imo, I thought about Ederson or Sane. Gonzo I’d go for Anderson out Son in. 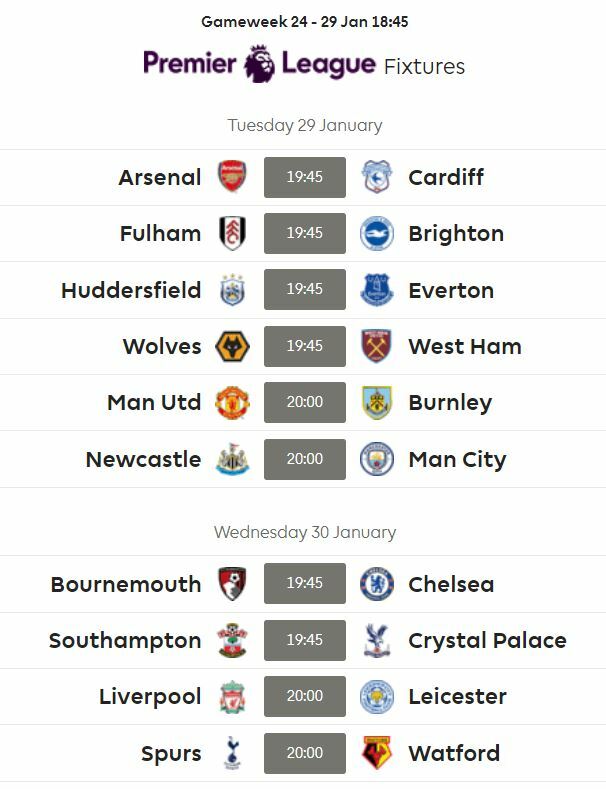 West ham’s fixtures aren’t great and Anderson’s gone off the boil, whilst son has been immense and has 3 home games in a row. You could survive with carrying over though, strong team if you were uncertain this week. Thank you for those suggestions. Both sensible. I’d considered holding, but not Son, he could be a great pick.